BRUSSELS - Mr Gauthier Destenay, in his grey suit and light-blue tie, stands out in this photo of political spouses. The Belgian architect is the husband of Luxembourg's Prime Minister Xavier Bettel, and First Gentlemen of Luxembourg. The two were in a civil partnership since 2010, and married in 2015 after gay marriage was legalised in the Grand Duchy. The photo was taken at the Royal Castle of Laeken in Brussels on Thursday (May 25) evening ahead of a dinner especially for spouses as their partners gathered for a North Atlantic Treaty Organisation (Nato) conference in Brussels, Belgium. It has attracted more attention than most of such routine photos taken at political summits due to Mr Destenay's presence. In the first row were (left to right) France's first lady Brigitte Trogneux, Turkey's first lady Emine Erdogan, US first lady Melania Trump, Queen Mathilde of Belgium, Secretary-General of Nato Jens Stoltenberg's partner Ingrid Schulerud, Bulgaria's Desislava Radeva and Belgium's Amelie Derbaudrenghie. Mr Destenay stood next to the partner of Slovenian Prime Minister Mojca Stropnik, and the First Lady of Iceland Thora Margret Baldvinsdottir. A Guardian report also pointed out that a White House caption for the photo initially left out Mr Destenay's name. Mrs Trump's name was inserted twice instead. The omission was later corrected. 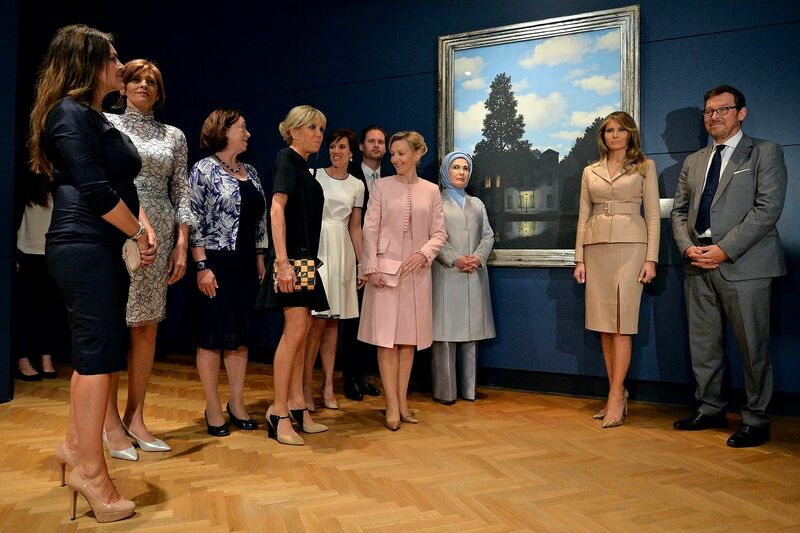 The spouses also toured a museum dedicated to Belgian surrealist painter Rene Magritte earlier on Thursday. Mr Bettel, 44, is not the first openly gay head of state in Europe. Iceland's former Prime Minister Johanna Sigurdardottir married her writer partner in 2010 and former Belgian Prime Minister Elio Di Rupo was open about his sexuality. 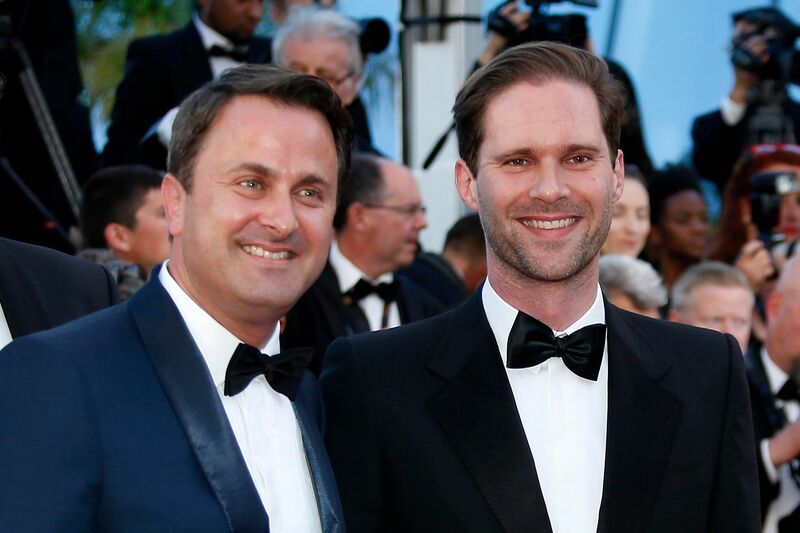 Mr Bettel will not attend events where Mr Destenay is not invited to, he told the Los Angeles Times in an interview in 2014.